Josephine is a nurse with over twenty years experience. She currently works as a nursing instructor at the Winifred J. Harley School of Nursing in Ganta. 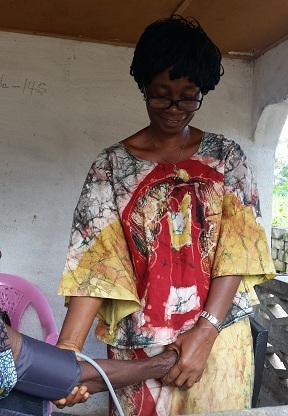 Josephine provides free in-home hypertension management in her own community in Nimba County. She monitors and counsels her patients in addition to providing them with medication, free of charge. Josephine also works with a physician to provide community-based dose adjustments. © 2019 Nursing For All. All Rights Reserved.